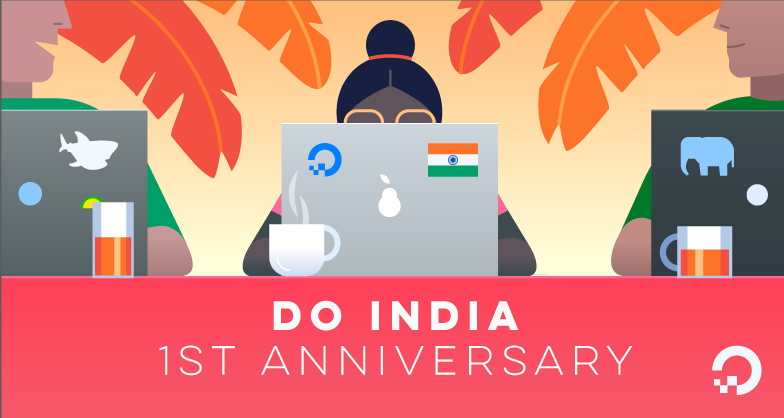 It’s been a year since we established DigitalOcean’s presence in India, starting with our Bangalore office and BLR1 datacenter, and it’s been nothing short of an exhilarating ride! We are excited about being able to cater to the needs of the developer community in India and its neighboring regions, and we’re humbled by the love our customers have shown. In this blog post, we’ll share some memorable highlights from engaging with India’s growing developer community over the past 12 months. A crowdfunding platform that connects non­profits with volunteers. This past fall, we ran our Hacktoberfest initiative and partnered with IndiaStack to organize their first-ever hackathon around the Aadhaar Auth API. IndiaStack is a set of public, open APIs, and systems that allow government entities, businesses, startups, and developers to utilize a unique digital infrastructure to solve India’s pressing problems. 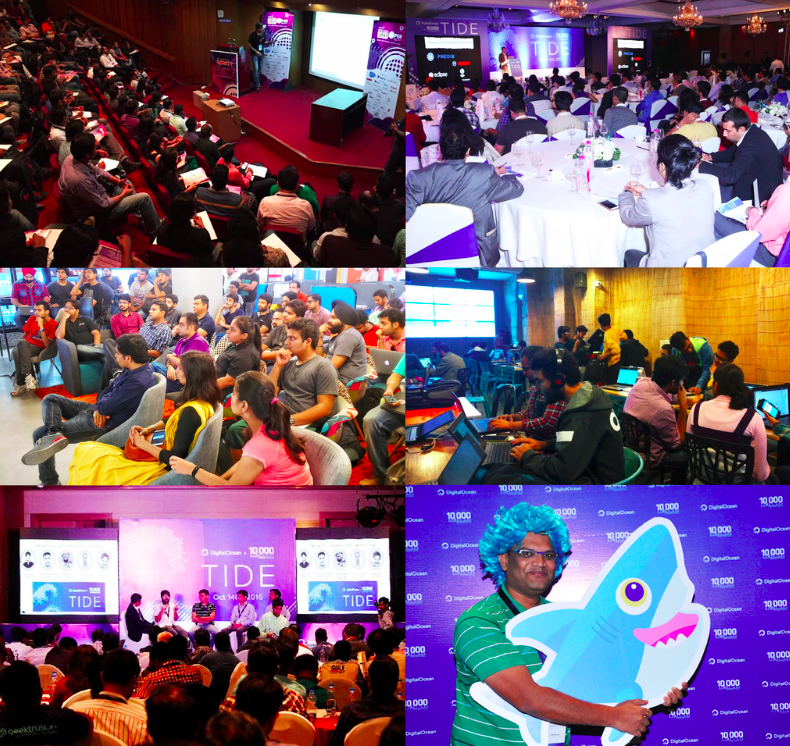 We’ve hosted two editions of our signature Tide Conference, where we’ve seen enthusiastic participation from hundreds of developers and startups, and Tide has become a platform for them to connect, network, and engage with influencers, mentors, and VCs in the tech ecosystem. Additionally, DO Meetups have expanded to chapters across six cities (Bangalore, Hyderabad, Mumbai, Pune, Delhi, and Chennai). We’ve also added monthly webinars from industry experts such as MSV Janakiram to our ongoing programming, and continue to facilitate workshops, hackathons, and coding contests across India. As part of our global incubator program Hatch, we are collaborating with more than 60 partners from the ecosystem (including top-tier accelerators like NUMA, incubators such as Nasscom 10K startups, VCs such as Accel and SAIF Partners, and government-run initiatives like the Startup India program), with hundreds of startups getting year-long free access to our infrastructure, technical training, mentorship, and priority support. We are proud to have amazing Indian companies such as NoBroker.in, Betaout, KartRocket, and HackerRank among our customers today. As we embark on yet another year, we will endeavor to continue empowering developers and software companies to build amazing things while our robust, affordable, and simple infrastructure does the heavy-lifting for them. To date, over 492,000 Droplets have been deployed in BLR1, and nearly one third of DO’s global Meetup presence is in India. With Block Storage to be launched in BLR1 by early Q3, and a host of new products in the 2017 roadmap, we’re focused on making it easier than ever for startups and teams of software developers from India to deploy and scale their applications. If you have participated in any of our activities or if you have suggestions on how you would like to engage with DigitalOcean, let us know in the comments below. We’re looking forward to partnering with you and supporting your needs in the year ahead! Prabhakar (PJ) Jayakumar is DigitalOcean's India Country Manager. He is responsible for running the firm’s operations in India, and his team is focused on both building out the DO community and supporting the localized needs of India’s developer and startup ecosystem.